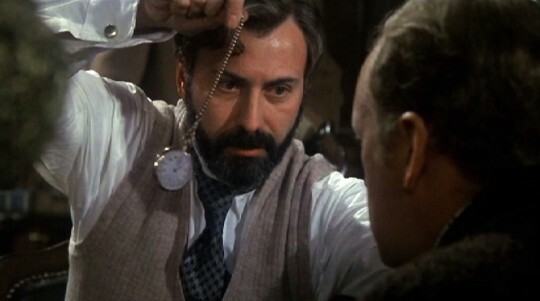 Nicholas Meyer’s 1974 novel, The Seven-Per-Cent Solution, and the subsequent film in 1976 helped spark a Sherlock Holmes “renaissance” in the mid 1970s. For your editor, if flipping through television channels, I’ll stop and watch this movie again if it is being shown. Alan Arkin portrayed the noted psychoanalyst Sigmund Freud in the film. 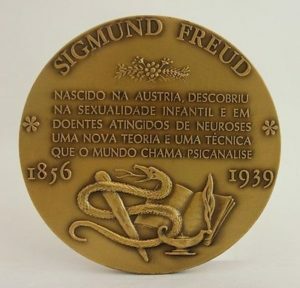 Freud is considered as the father of psychoanalysis and in the last 75 plus years, he has been featured on many monetary items and medals. 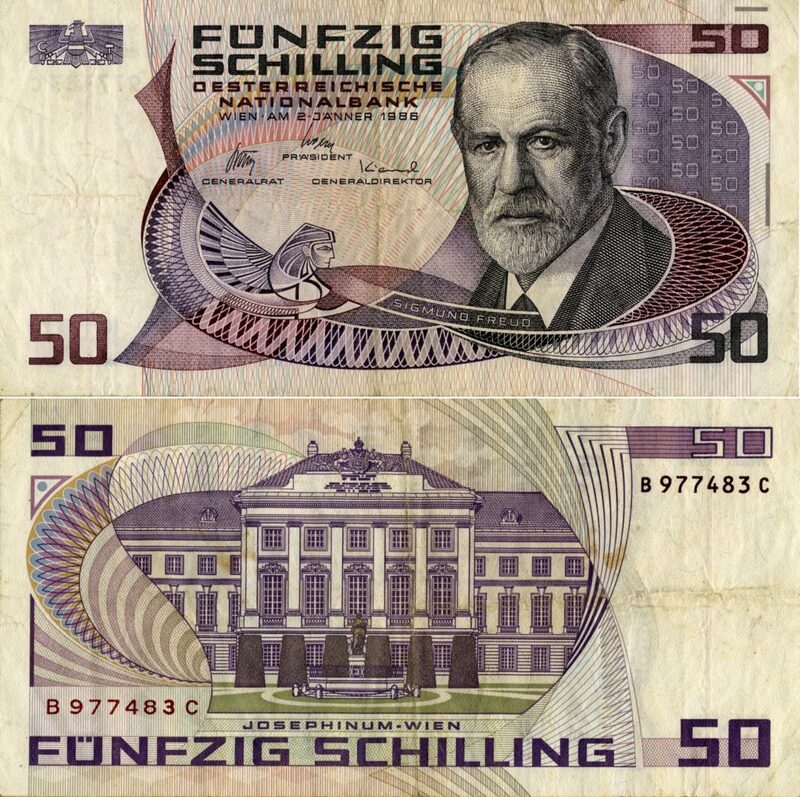 The Oesterreichische Nationalbank, the central bank of Austria, issued a 50 Schilling banknote in 1986 that featured Freud and the Josephinum Medical School in Vienna. 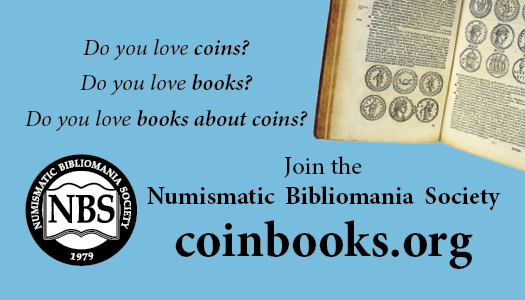 In 2000, Austria issued a 50 schilling coin to commemorate the 100th anniversary of publishing the book Die Traumdeutung (The Interpretation of Dreams). 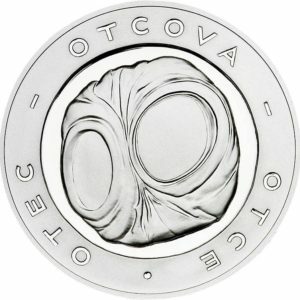 The Austrian Mint struck 600,000 of these coins. 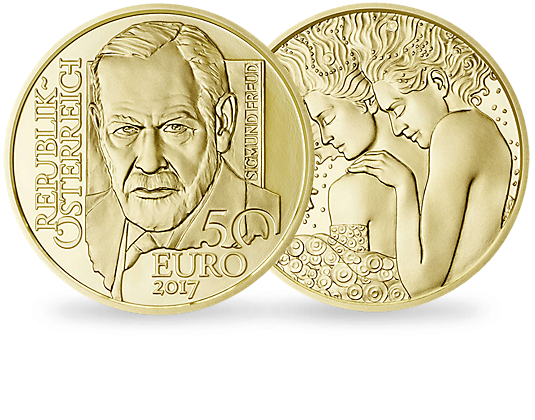 Just this year, the Austrian Mint has struck another coin honoring Freud – a .986 fine gold 50 Euro coin, 20,000 of these coins have been authorized. 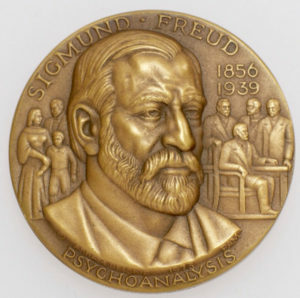 The obverse side of the medal depicts the head of Sigmund Freud with a narrowed eye – a symbol of his research. Freud intensively studied our (human) animal instincts and, among other things, he found that in the animal world a cat’s narrowed eyes represent something similar to a kiss. “My initials, J. McA. F., are placed on Freud’s ear because the shape of ear is inherited from generation to generation, and this is a reminder of my kinship to Sigmund Freud – my grandfather,“ says the author of the design. 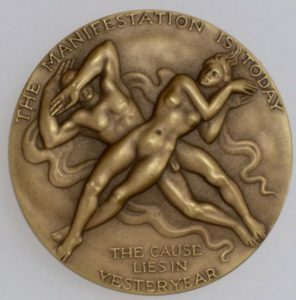 This 1906 medal of Freud was designed by C.M. Schwerdtner, Jr. The reverse design is supposed to interpret the story of Oedipus. 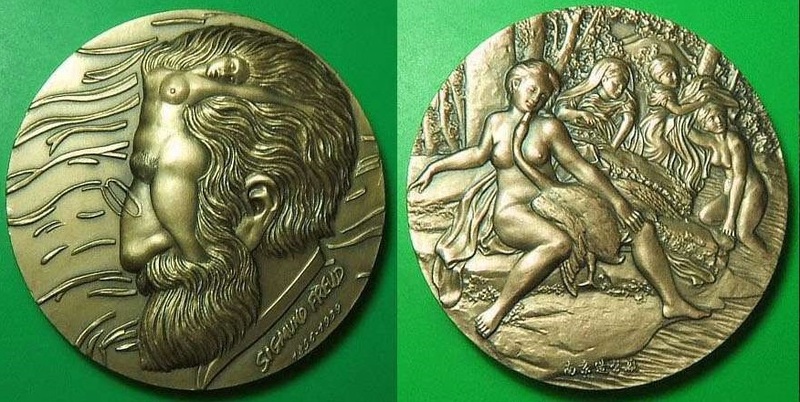 This 70 millimeter bronze medal was sculpted by Armindo Viseu and was struck in Portugal. According to the insciption on the medal’s edge, 500 of these medals were struck. 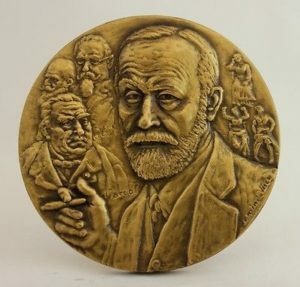 The Medallic Art Company struck this 45 millimeter medal honoring Freud as part of their Great Men of Medicine series. Designed by Abram Belskie, this medal was struck in silver and bronze. Our last medal of Freud features a representation of what’s on men’s mind on the obverse and the reverse features the painting Leda and the Swan by Antonio Allegri da Correggio. 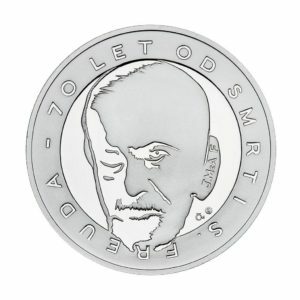 Again, this is only a brief sample of some of the numismatic art featuring Sigmund Freud. 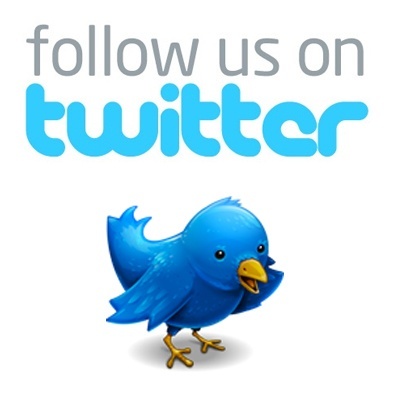 There are many other examples that can be found with a little effort.